Our online database is temporarily unavailable. Please check back later. 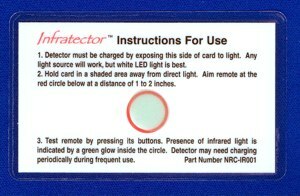 Simple, easy to use infrared light detector in a plastic laminated card. More information available HERE.